Looking for hadoop books? 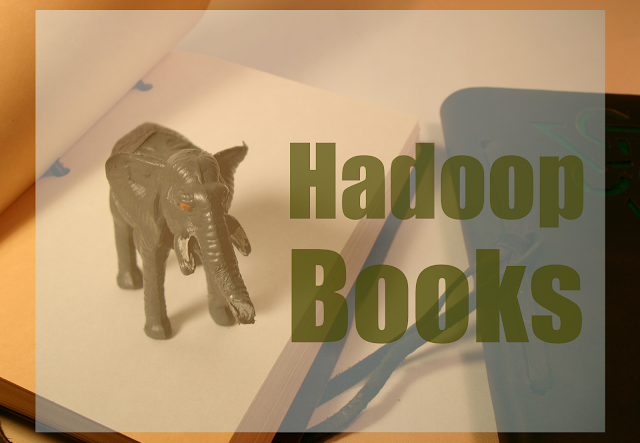 We have shortlisted best hadoop books in this post. Some of these are hadoop books for beginners, whereas other are focused on experienced map reduce programmers and big data developers to improve on their knowledge of hadoop and big data. The hadoop ecosystem is enormous and may take long time to learn therefore people new to big data technology must start with hadoop books for beginners. Hadoop is the buzzword in the modern database analytics and content management system. Originally designed by Google to support and manage the huge data base operating in Nutch search engine project, hadoop distributes the big data across the entire network and makes complicated computation of clustered and structured data possible. The technology has a huge demand in the industries like finance, social networking sites and other platforms that needs to deal with very large data base which is otherwise impossible to handle. The hadoop knowing experts are in great demand in a wide array of industries which needs to handle and compute complicated databases. A working knowledge of hadoop would let you gain an edge in your career as there is a growing need of specialists in handling big data through hadoop software. This is the best book for hadoop beginners. This is a single best source to adapt you to the world of big data management. The book is written in easy language and if you are young and sharp you would get is assimilated to your system by three months. The first eight chapters is critical and should be read more than once to get acquainted with the nuances of this technology. A prior basic training in Java language is recommended as it would definitely help you to understand the book better. The book discusses about the advanced Hadoop applications and the related technologies. The introductory chapter provides you with an overview as to what this Hadoop technology is all about. Knowing Java language is a definite prerequisite and it must be maintained that this book and its application procedures are meant for the advanced learners. The book offers you a deeper insight into the big data management technology and it would definitely be an advantage if you have ideas about Mahout and Pig. This book deals with the technology in details, mapping out how, when and why of every nuance that is related to the big data management. The chapter on HDFS is highly recommended and this book can well qualify as a user’s manual where all aspects of Hadoop technology are explained in an easy and communicable language. The book would impress the beginners and advanced learners as well as all aspects of the software and related technologies are explained in great details. This book is much more than just a overview or a guide and it delves deeper and provides in-depth insight about Hadoop and related technologies. The first chapter is sort of an introduction and as you dig further on the various aspects of Mapreduce programming, Oozie , you would realize how critical is to understand these technologies to become an adept in Hadoop. This book is recommended for all advanced learners of big data management technology and those who want to apply the same in their own domain. This is not an introductory book on the applications of Hadoop software. IT is rather a useful guide to the data scientist who deals with the analytics of big data management and how Hadoop is much more than simply HDFS programming. This book deals specifically with the various applications of the big data technology and how they are handled and given a definite computational shape by the data scientists. This book is highly recommended for all data scientists who are at the vanguard of the big data analytics. The book introduces us with Mapreduce programming and Mapreduce design patterns. It is basically meant for the beginners who have only an introductory knowledge of Hadoop technology. The book is set in three parts meant for the beginners, intermediate and advanced, but it is usually recommended for beginners and intermediate learners. The book is written in easy language, easy to understand and while you have gone through it you would find yourself equipped with a fair amount of skill. The example code provided makes learning even easier. This is one of best big data books. This book has the right balanced between the oversimplified ones trying to be friendly but of no actual use and those with academic authoritarian tone. This book is exactly about programming and algorithms, but or anyone with a curiosity for the world of big data management and how data are stacked and retrieved to answer complex computational questions. It also focuses on how the business world benefits and uses this large storage of clustered and structured data. This book can be read by one and all. Big data management is a great challenge in the domain of information technology and experts of Hadoop are sought everywhere to manage the data meaningfully. The above mentioned books provide you insight at various levels to become an expert in content management systems. A book for hadoop learning will surely help you get started, however you may need to refer multiple books to really have a good control on the subject and practical aspects of big data problem solving.